Want to know a secret? 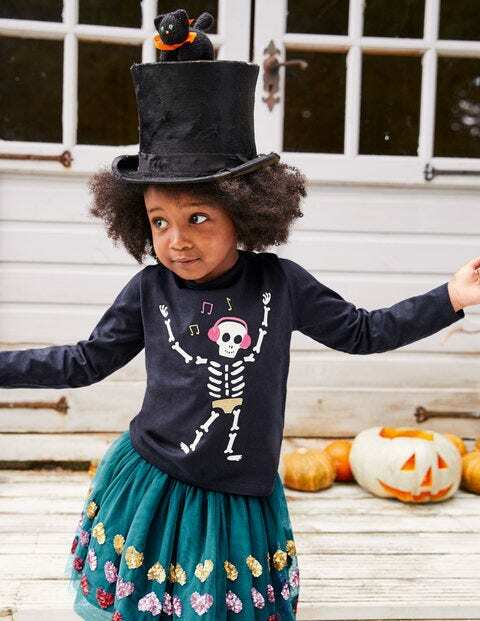 Our spotty skeleton friend (who's also a little bit spooky) is always ready to dance the night away. Why? Because he glows in the dark. And with glittering gold pants, he glows in the daytime too. This long-sleeved jersey top has a supersoft finish, so it's comfortable to wear for boogieing along with him.